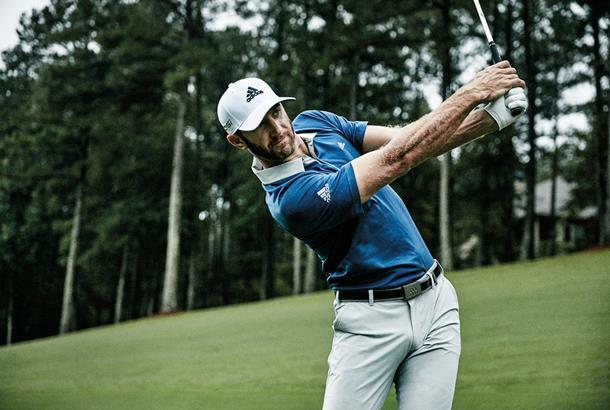 adidas Golf and Dustin Johnson today announced a new multi-year apparel and footwear deal. 2017 will mark the company's tenth year collaborating with the 2016 PGA of America Player of the Year Award and Vardon Trophy recipient, 2016 US Open Champion, Top American and #2 Player in the World. "They have been with me since the start of my career; we've collaborated, created and celebrated together.
" I'm grateful for the support adidas Golf has given me and I look forward to seeing what we can do together moving forward." adidas footwear and apparel are designed to optimise an athlete's performance. In golf, the most important measure of performance is speed, which translates to distance and Johnson's jaw dropping drives have him hunting for titles every week. adidas Golf apparel frees Johnson's 6'4" frame to produce his Tour-leading distance, while his use of TOUR360 BOOST shoes have helped catapult adidas Golf footwear to the number 2 market share position in the US, as well as solidifying second position in the UK and France. Jeff Lienhart, Executive Vice President of adidas Golf said: "DJ's scoring and legendary ball striking draw huge galleries and substantial television exposure, which are critical to the promotion of our apparel and footwear. "We believe his US Open Championship is the first of many Majors to come, which will make him an even bigger star. "He is the perfect athlete for our team to test innovative product solutions and his feedback will continue to influence our design decisions."